The excitement of downloading and installing the latest version of an operating system isn’t the sexiest of thrills – it’s probably just above discovering a new flavor of jam – but it’s something that many of us fall for. After all, the promise of new features, or a new-look interface, is certainly tempting, and it’s something that many of us have fallen for. 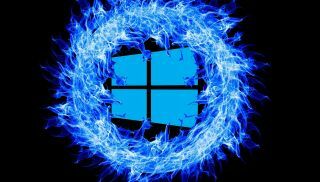 However, the myriad problems that users are experiencing after downloading Microsoft’s latest update to Windows 10, proves how risky the pursuit of the freshest version of an operating system can be. Not to mention this whole string of issues reveals the folly of Microsoft's decision to force Windows 10 updates upon their users, with the only respite being the ability to delay installations for up to 35 days. And that's only if you're a Windows 10 Pro user, those with the Home edition have no choice but to basically never reset their computers. Windows 10 isn't the only OS that encounters problems after major updates and new releases, as Apple’s macOS and iOS have had their share of problems as well, as does Google’s Android operating system. Of course, Linux never has these issues, as it has been blessed by the holy hand of Linus Torvalds himself (not really, distros have their fair share of buggy updates). Y’all got any more of those OS updates? Having the very cutting edge of software and hardware can be a real addiction for some people, and I’m certainly one of them. While I can blame my job in part for always having to have the latest updates installed so I can write about the new features, the truth is even if I didn’t have to install them, I probably would. However, I’m going to be one of those annoying “do as I say, not what I do” people and suggest that you stay your button-pushing finger next time a major update pops up. Wait a week or two, or even better a month or more, before downloading the update. Let other people discover those bugs, while the software makers scramble to release fixes to cure those problems. Then, when it all dies down, you can download safe in the knowledge that you’ll be getting the new features without your PC/Mac/Smartphone falling over. Of course, this doesn’t apply to important security updates – make sure you download and install those as quickly as possible. But, for other updates, especially major ones that introduce new features, treat it like a hot pie. Leave it to cool off, while others burn their mouths on it. But don’t let it get too cold, or you’ll get a virus. OK, so the pie analogy doesn’t really work, but it’s lunch time and I’m hungry.